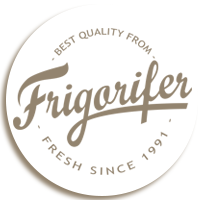 At Frigorifer, frozen vegetables are packaged using an advanced technology that allows preserving taste, texture, color and nutrition values the best possible. Thus, the products are competitive and comply with the regulations of the European Union, as well as with the requirements of the modern knowledgeable consumers who are increasingly concerned about health and quality. With a modern packaging line, top of the line vegetables and our care for nature, Frigorifer guarantees a strict compliance with the highest standards, certified by IFS.